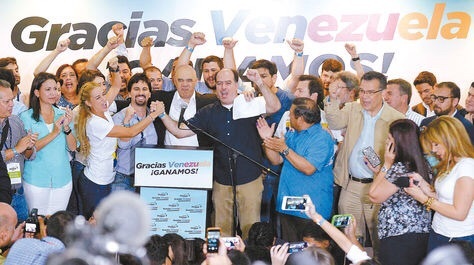 Somos+, 7 December 2015 — As it if were us, we have experienced with Venezuelans a historic moment, the moment when Venezuela is reborn thanks to its people. The opportunism, threats and the Castroism could not withstand the force of change. The call for change echoes across our America and its sound is heard in every corner. ALL the people of Cuba join in this victory as if it were their own, we are happy! The ideal world of the rulers is nowhere near the real world of the people. Today Cuba wants to also be a people who speak. Today Cuba also wants to express its desires for CHANGE.